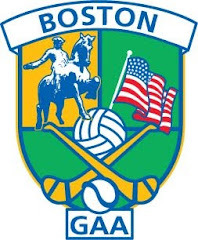 If you are sticking around for the July 4 weekend, a jaunt to the Cultural Center might be well worthwhile at the weekend as there is plenty of junior and senior football and hurling on display. Things will start to shake out over the next week or two and a couple of teams are looking for badly needed wins. Two senior football games are on the cards, each of which will have a strong bearing on playoff placement. First up is Christopher’s and Wolfe Tones. Christopher’s are under pressure to get a result in this game. With just 3 games to play a win, or at least a draw is imperative to remain in the hunt. Last time out Christopher’s full just short of a strong Galway team, and could have just as easily have come away with the win. A consistent effort will be required to get anything out of the game. The Tones are also coming off a loss last week, to unbeaten Donegal. In many ways consistency has been what the South Boston team need to focus on. Periods have good football have come in spurts and that has been the downfall of the Tones in their 2 losses to the Gaels and Donegal. The men to watch out for are Derrygonnelly native Garvin Jones and Monaghan’s Shane McGuinness for the Tones, with Skerries Harps man, Jack Smith a steady influence in the back line. For Christopher’s it is Eddie Goggin from Carbery Rangers who is the point of the attack, however there are plenty of others who can contribute, including Bantry Blues man, Sean O’Leary, in the middle of the field and Conor Horgan up front. A great chance for either team Sunday, and has the potential for a great game of football. The other holiday weekend senior football duel to give the punters something to get excited about Sunday features the Connemara Gaels and Shannon Blues. The Blues were flat in their last outing where they went down to Donegal, albeit with 12 men for half the game. Having had two weeks to stew over it, the Blues will be looking to make amends and play the kind of aggressive, fast paced football that they are capable of. A win is imperative in keeping their campaign on track, and with a strong side from Daragh O’Shea in goal to Kieran Hurley up front, the Blues ambitions will be higher than a quarter final spot. Greg Horan is part of a strong Blues lineup. The Gaels will have been satisfied with their win last week against Aidan McAnespies and the Connemara men used their bench well with the outcome of the game in the balance. The midfield duo of Matt Sullivan (Kerry) and Dan O’Driscoll (Cork) did well, as did corner forward pairing of Killyclogher man Tiernan Cox and Portlaoise’s Kevin McGrath. Tony Brosnan came on last week and put to crucial points over the bar, while Ferghal Meenagh also contributed from the bench down the stretch. It will the Blues who will be eagerly looking for the win here so that they can put the last game behind them and focus on the playoffs. A win for the Gaels will keep them in the running for a top 2 spot, all to play for on each side. Junior hurling sees two contests at the weekend. Offaly take on Wexford on Sunday as the Faithful county attempt to go 2 for 2. Saturday it is Galway and Tom’s. Tom’s fell short of a miraculous comeback last week against Offaly and will be looking to chalk up a win over their western rivals, Galway. There is plenty of Junior football action. Something will have to give on Saturday when Kerry and Galway meet with each side looking to stay unbeaten, while Cork will meet Donegal. Sunday sees both of the Connemara Gaels teams in action, the Gaels junior A side take on the Wolfe Tones on Sunday, while the B side play Hartford.